I love Muscat grapes. Its too bad that you can only get them a few months out of the year. Muscat, muscato, moscato, etc. wines are always sweet yet not thick like ice wine or Sauternes. Perfect very well chilled on a warm summer day, or with spicy food! Scent – pure honeysuckle and peach. And its a sparkling wine, which surprised me because it didn’t indicate on the label that the wine was sparkling. Mouthfeel is ripe and sweet but not artificial, just pleasant fruit popping out. Awesome honey aftertaste! 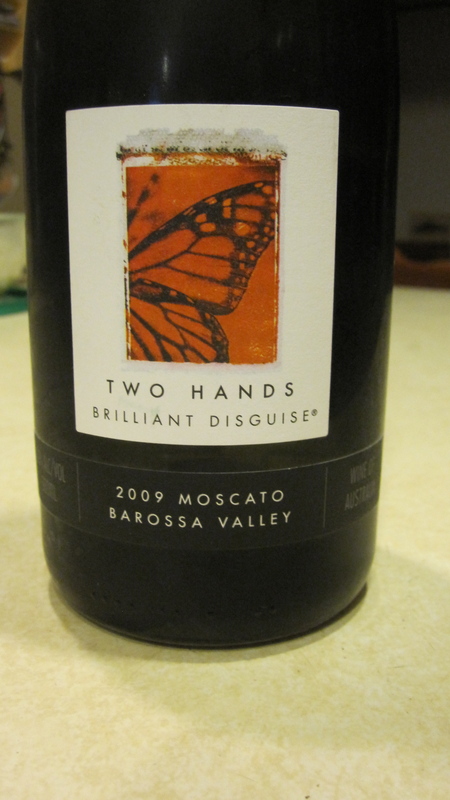 This wine is low in alcohol (8%) with beautiful fruit popping out – very approachable.